An antique woodcut engraving which was published in "The Illustrated London News" . Circa 1867 with later hand colouring. Two antique woodcut engravings which were published in "The llustrated London News" on February 1st, 1862. 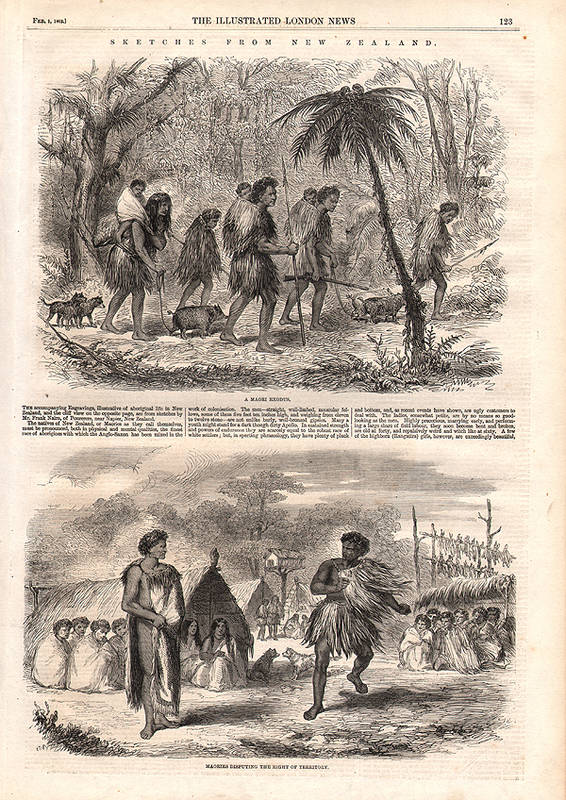 The top engraving is 'A Maori Exodus' and the bottom 'Maories disputing the right of Territory'. 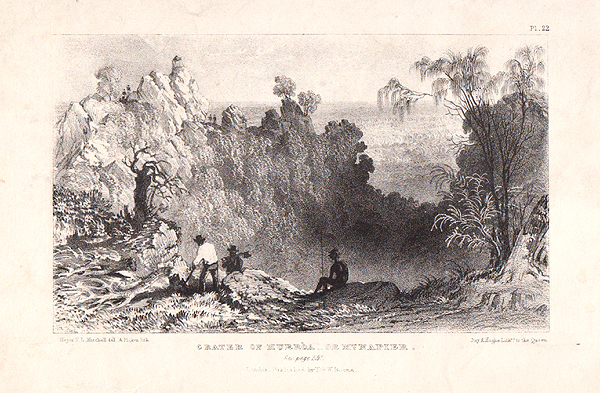 Crater of Murroa or Mt. Napier. An antique lithograph by A. Picken after Thomas .L.Mitchell. Lithographed by Day & Haghe. Lithographers to the Queen. Circa 1850. 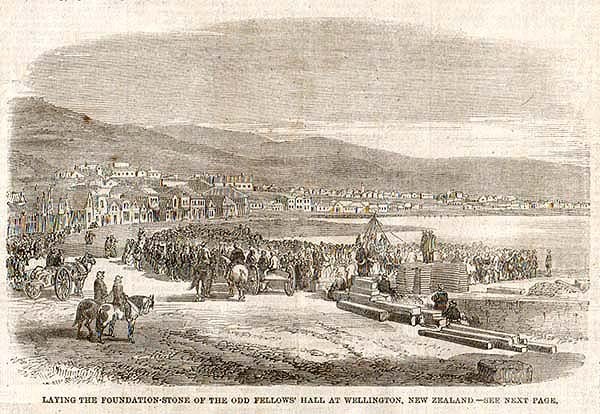 Laying the Foundation-Stone of the Odd Fellows Hall at Wellington, New Zealand. 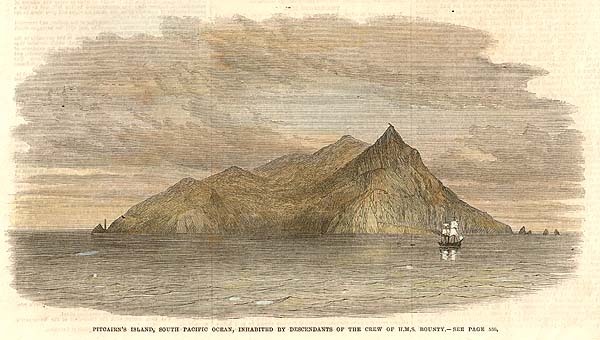 An antique woodcut engraving which was published in "The Illustrated London News" on 5th November, 1859. 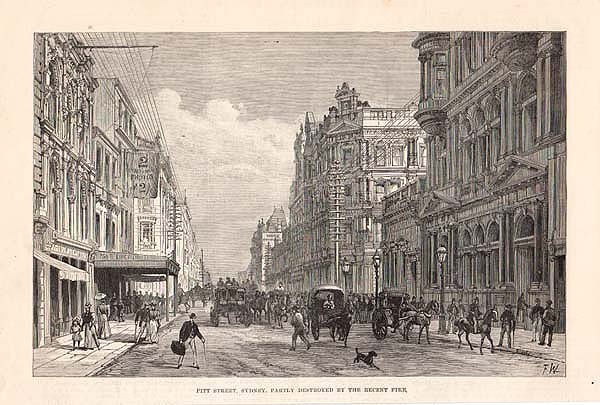 Pitt Street, Sydney, partly destroyed by the recent fire. An antique woodcut engraving which was published in "The Illustrated London News" on October 11th, 1890. The Colonial Rifle Volunteers of Australia. Lieutenant - Colonel T. Price Commanding Victoria Mounted Rifles. 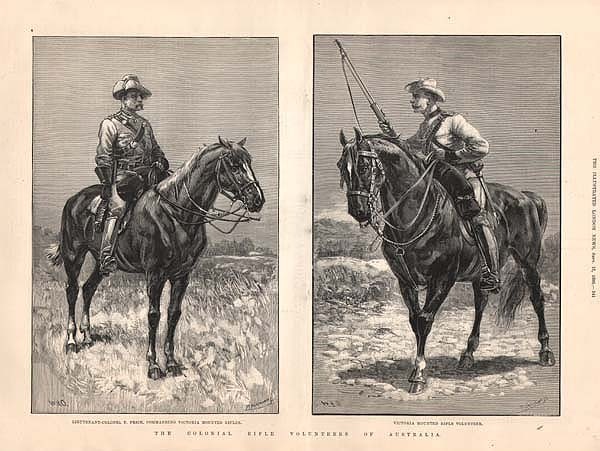 Two antique woodcut engravings by P. Laumann which were published in "The Illustrated London News" on September 13th, 1890. Shows Lieutenant Colonel T. Price and a 'Victoria Mounted Rifle Volunteer.' An account of the 'Colonial Volunteers in Australia was published on the verso. Entrance to the largest cavern, Wellington Valley. The Cow Pastures, New South Wales. An antique line engarving by A. Willmore after S.Prout. Circa 1845. Later coloured by hand. Mount Kiera, New South Wales. 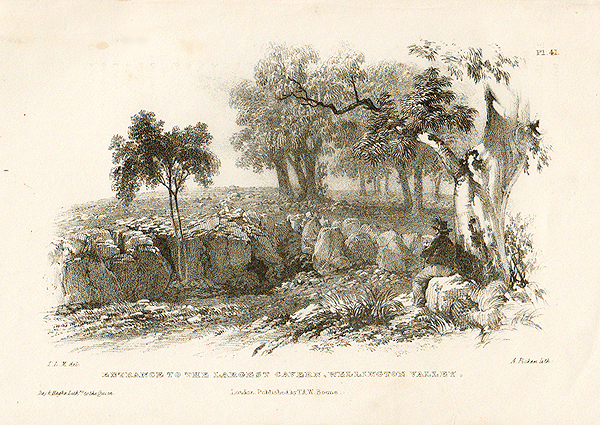 An antique line engraving by A. Willmore after S. Prout. Circa 1845. Later coloured by hand. An antique line engraving by S. Bradshaw after S. Prout. Circa 1845. Later coloured by hand. Harpers Hill, Hunter River. N.S.W. An antique line engraving by H. Bibby after S. Prout. Circa 1845. Later coloured by hand. Fairy Lake, New South Wales. A line engraving by A. Willmore after S. Prout. Circa 1870. The colouring is later. Woodcut engravings which appeared in "The Illustrated London News" on March 14th, 1857. Views include Culham in the Upper Valley of the Swan, and Kangaroo Hunt in Western Australia.